Maximize productivity without compromising quality. 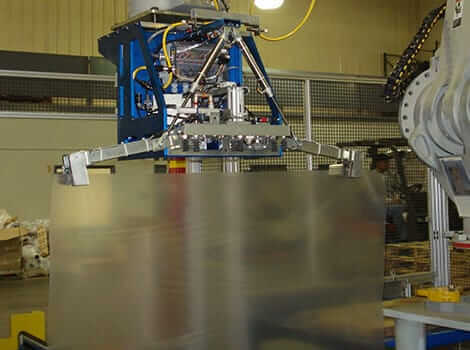 Mobile Palletizer combined with In-Process Stretch Wrapping: A high-functioning, add-on that combines two specific tasks into one cohesive machine. 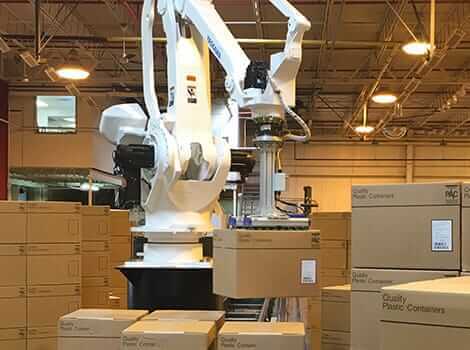 Mobile Dual Station Palletizer: Efficiently coordinates the palletizing and sorting for two unique sku lines to create a mixed batch based on color, product, or other criteria. Eliminating repetitive motion risks, while allowing stacking of square and stable loads to full height minimizing freight costs and employee injuries. 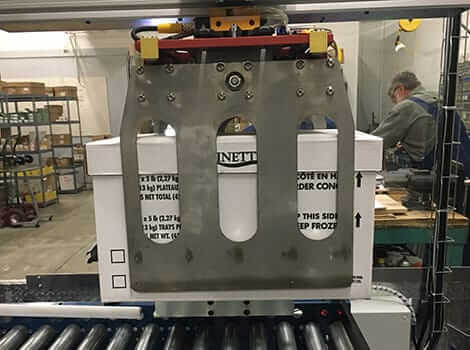 Compact, mobile footprint fits into existing tight spaces, typically not taking up any more space than what is currently being used for manual palletizing. Production line reconfiguration is not required because the PALLETPOD offers such a small footprint. Immediately decrease your costs with a PALLETPOD lease or rental.